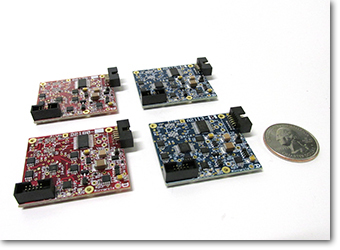 Plug-and-play solution for rapid development of demonstrations of concept, prototypes, and applications. 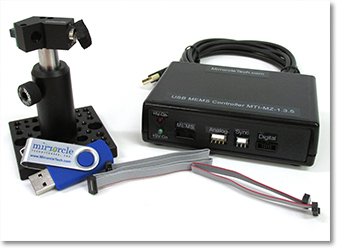 Allows control of MEMS mirror, laser, and other accessories from laptop, PC, or mobile device via USB or bluetooth. Extensive software development kit and executable examples. Compact and efficient USB MEMS Controller with specialized MEMS driver for enhanced scanning performance. Variety of software solutions that create X- and Y-axis drive signals and controls for lasers or other accessories by digital triggering, synchronization with other units, and more. Multiple executables with rastering examples, vector-based drawing examples, text displaying, etc. Provides controls for refresh rates, sample rates, etc. Extensive software development kits with Windows C++, Linux C++, Matlab, LabView, Java/Android APIs available. 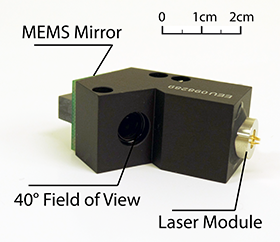 Intergrated optical cell built-in with MEMS mirror, laser and optical lens. Standard Laser wavelength 405nm, 450nm, 520nm and 638nm available (others upon requests). Based on A3I12.2-1200AL MEMS mirror (1.2mm diameter). Optional A7M8.1-800AL mirror available for extra high speed applications. MEMS driving works with any Mirrorcle driver and MEMS controller. 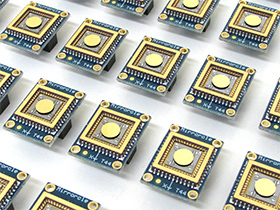 Laser driving customer provided or add-on from Mirrorcle's standard designs.